In 1942, a German flees to France, assuming the identity of a dead author. 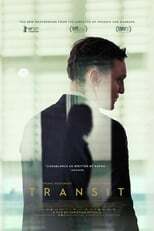 Transit is directed by Christian Petzold and was released on Mar 1st, 2019. Director Christian Petzold's Drama movie Transit is produced by Schramm Film Koerner & Weber & Neon Productions & was released 2018-04-25.